Drive around town or walk along our 30-plus miles of leisure trails, and it quickly becomes evident that our natural landscape is an important facet of our community. Trees, streams, golf courses and meadows are methodically maintained and surrounded by our white horse fencing, classic architecture and rural roadway design to create a rustic beauty for everyone to enjoy. All of us – municipalities, developers, residents and business partners – are embracing the idea that preserving natural amenities and practicing environmentally friendly endeavors enhances our quality of life. Examples abound. The New Albany Country Club received a “Certified Audubon Cooperative Sanctuary” designation for its dedication to provide a sanctuary for wildlife on its golf course. Corporate partners such as Abercrombie & Fitch and Bob Evans are able to maintain a scenic setting on their campuses in the middle of the largest planned office park in the state of Ohio. Bob Evans and many new businesses located at the International Personal Care & Beauty Campus in our business park built LEED certified structures, and the city implemented a greywater irrigation system to support this campus. One of New Albany’s best natural assets is the Rose Run Stream and corridor, which runs through the Village Center between Market Square and the school learning campus. Since 2010, the city has received nearly $1.2 million in federal and state grants to make improvements to the stream, including the removal of invasive species; replanting of native trees, shrubs and plants; stabilization of the stream itself; and daylighting a previously piped section of Rose Run adjacent to the McCoy Center. These measures are improving water quality and enhancing overall wildlife habitat while providing opportunities for students to learn more about their environment and facilitating future recreational improvements to this corridor. Some residents have inquired about the significance of pink ribbons on select street trees (those trees planted within the city right-of-way that are not on private property) around town. These trees, nearly 1,000 in all, are along U.S. Route 62, state Route 605, Dublin-Granville Road and Fodor Road as well as in the Hampstead Heath, Prestwould Close and New Albany Links subdivisions. Many became infested by the Emerald Ash Borer and have already been replaced or are in the process of being removed and replaced by the city, New Albany Company and local homeowners’ associations. These same partners are treating some of the larger ash trees with some degree of success as they attempt to save them. A partnership between the city of New Albany, Plain Township, Franklin County Metro Parks and the city of Columbus, the park itself will be located north of Walnut Street between Schott and Bevelhymer roads. Planned nearly a decade ago, the park is expected to begin development next year. It will feature the preservation of natural features including the headwaters of Rocky Fork Creek. The park will also include picnic areas, horseback riding trails and leisure trails. 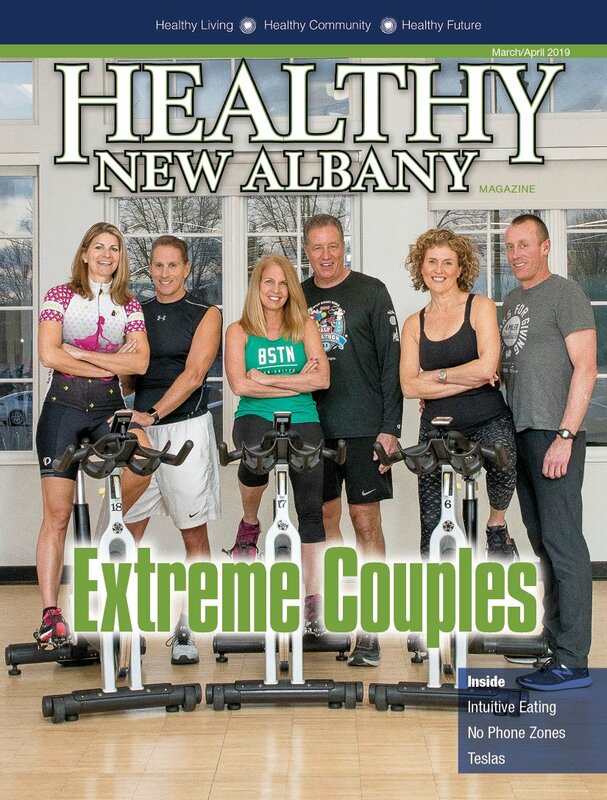 New Albany leaders are exploring ways to connect the community leisure trail network to this metro park to provide alternative transportation choices and enhance the park user experience. New Albany initially pledged $2.5 million for land acquisition in 2005 for this park. Since then, more than 900 acres have been purchased for park development, with plans for an additional 300 acres. To move these expansion plans forward, New Albany and Columbus officials are committing another $1.25 million each over the next five years for land acquisition. Metro Parks committed another $1.25 million and Plain Township another $250,000 over that same time frame for either land acquisition or park development. Our combined efforts are helping to preserve New Albany’s natural beauty. Each of us is doing our part to look after this exceptional place we call home. Scott McAfee is public information officer for the city of New Albany and a contributing writer. Feedback welcome at laurand@cityscenemediagroup.com.